Today we explore the song 'Over de Muur' by the band 'Klein Orkest'. In this song, which is from 1984 and is about Berlin and the Iron Curtain, they sing about how in East Berlin, Lenin and Marx 'nog steeds op een voetstuk staan'. When you 'op een voetstuk staan' in Dutch, it means you are highly esteemed and/or respected; you are like a statue on a plinth. – Van zijn voetstuk vallen/tuimelen: to fall/topple from one’s pedestal. The song 'Over de Muur' ('Over the Wall') must be placed in the context of the Cold War and the Iron Curtain. The singer is Harrie Jekkers (who is from the Hague, hence the accent; we have come across Harrie Jekkers before in DWOTD Ruilen). The song has no video with it. 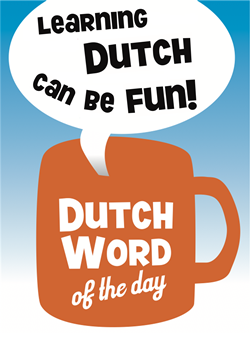 This entry was posted in Dutch songs, Dutch word of the day, DWOTD 1.0, Vocabulary Intermediate and tagged Berlijn, IJzeren Gordijn, Klein Orkest, Over de Muur, voetstuk by Sander. Bookmark the permalink. I’ll do my best to introduce you to more beautiful songs! And let me add, Sander, that this blog is the best thing I found on the web about Dutch language. It’s really helping me a lot, and what’s more it’s a lot of fun! All this Dutch people starting to address me in English as soon they realize I’m not fluent in their language (yet). Thanks for your work, man. This blog’s become my main textbook. Nu staan je zeker ​​op een voetstuk!